If you are ever in Seattle, there are two things you really must do. The first is to go up on the Space Needle (make sure it's a clear day) for a fantastic view of the city and the water. Stunning. The second thing is to go to Pike Place Market, where they sell the most delicious tasting warm little cinnamon sugar donuts. You can see them being made right in front of you, and they are sold in small bags of a dozen, which you will eat the whole bag, trust me. 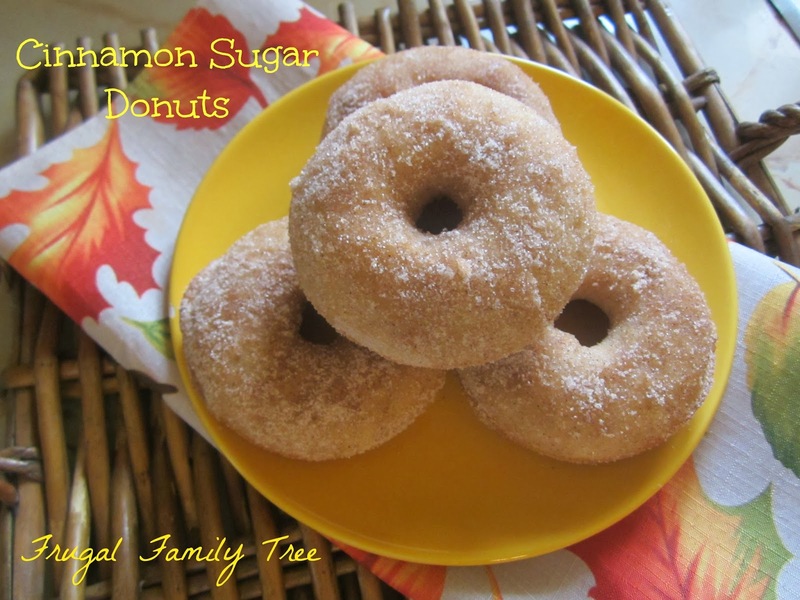 I love donuts, and I love the Barefoot Contessa, so when I came across her recipe for cinnamon sugar donuts, I had to make them. And wow, are these good!! Let them cool only slightly when they come out of the oven, and them dip them in butter, and then the sugar-cinnamon mix. They are not quite as good as the donuts at Pike Place Market, but almost. And that means these are really, really good. Being able to bake donuts has made donut making super easy. Make these on a lazy Sunday morning, and you'll be very happy you did. Into a large bowl, sift together the flour, sugar, baking powder, cinnamon, nutmeg, and salt. In a small bowl, whisk together the egg, milk, melted butter, and vanilla. Spoon the batter into the donut pans, filling each one a little more than three-quarters full. Bake for 15-17 minutes, until a toothpick inserted comes out clean. Allow the donuts to cool for 5 minutes, then tap the donuts out onto a sheet pan. For the topping, melt the 8 tablespoons of butter in an 8-inch sauté pan. Combine the sugar and cinnamon in a small bowl. Dip each donut in the butter, and then in the cinnamon sugar mixture. Yum! I like that these don't need yeast! These look amazing! I just bought a donut pan and will have to try them! yum!!! Thanks for sharing on Make Bake Create!! !